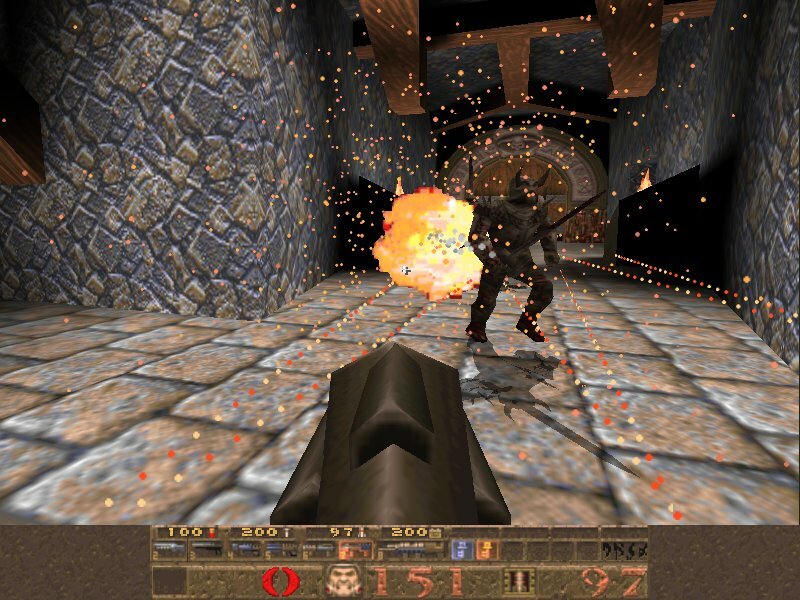 The cult computer game in the genre of first-person shooter, developed by id Software and released on June 22, 1996. 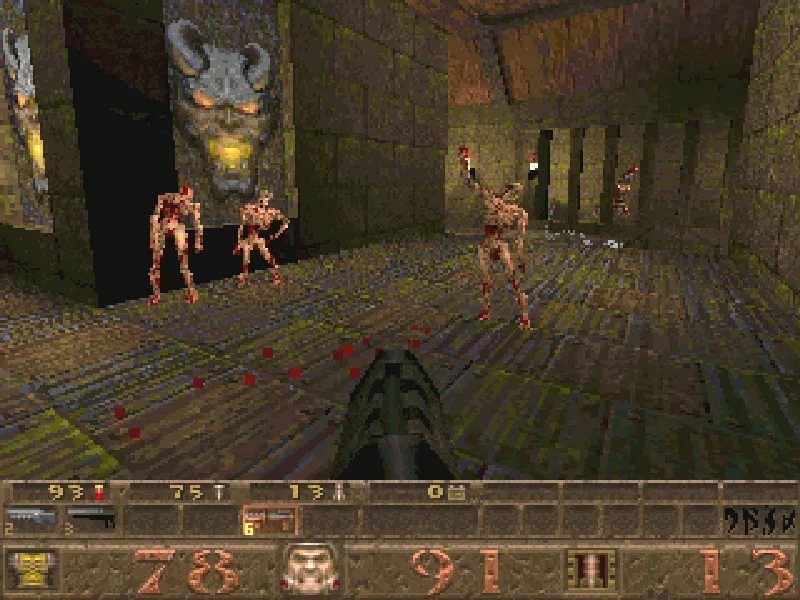 The game made a breakthrough in 3D-technology, using polygonal models instead of sprites, thereby realizing a fully three-dimensional world, instead of a two-dimensional map with information about height (as it was in Doom). 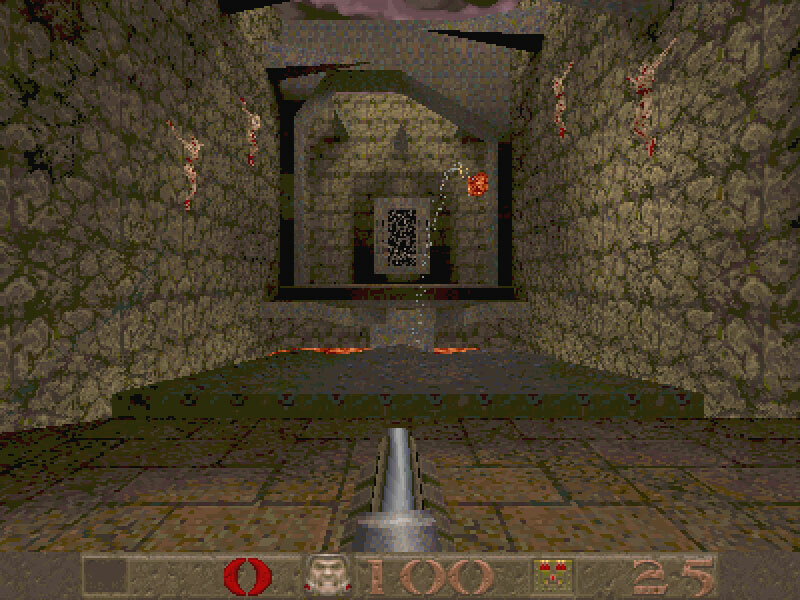 Another innovation was the use of dynamic light sources. 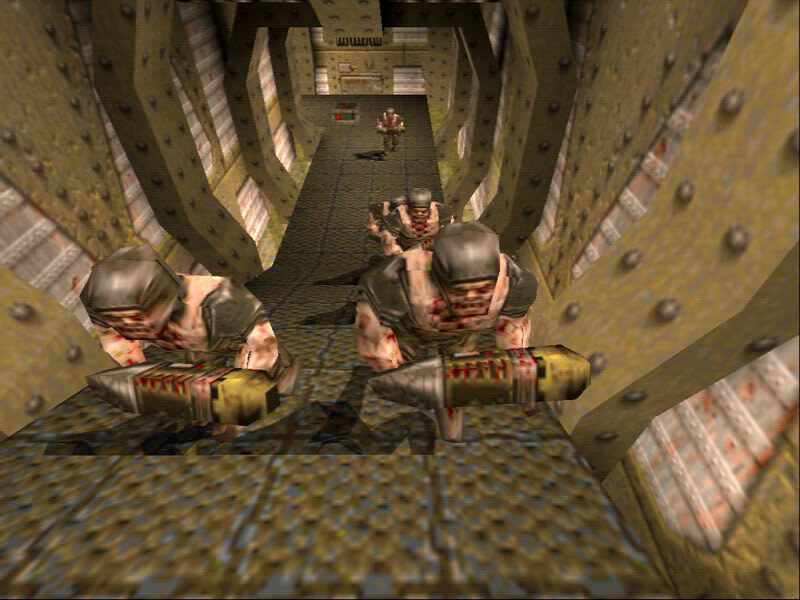 The game is also known for its soundtrack, which was written by Trent Reznor from Nine Inch Nails. 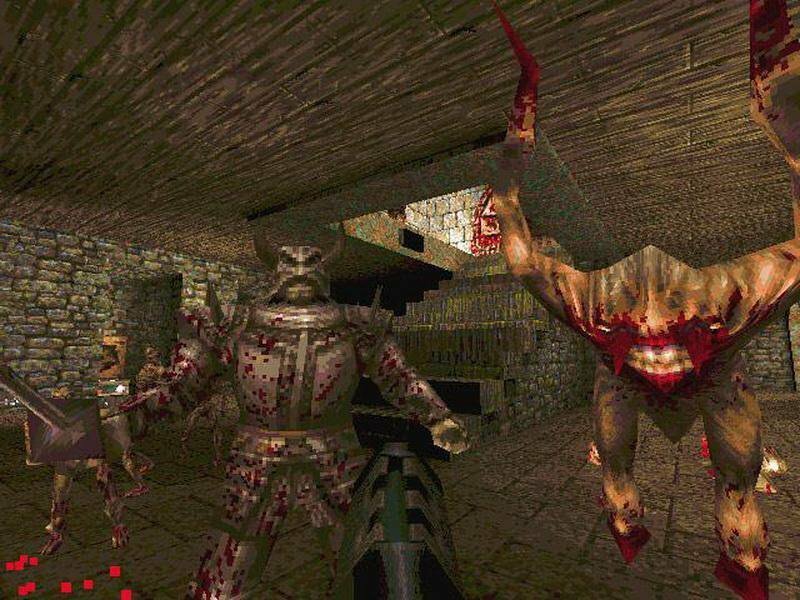 Quake is the ancestor of one of the most successful game series: a total of more than 4 million copies of Quake, Quake II and Quake III: Arena were sold. 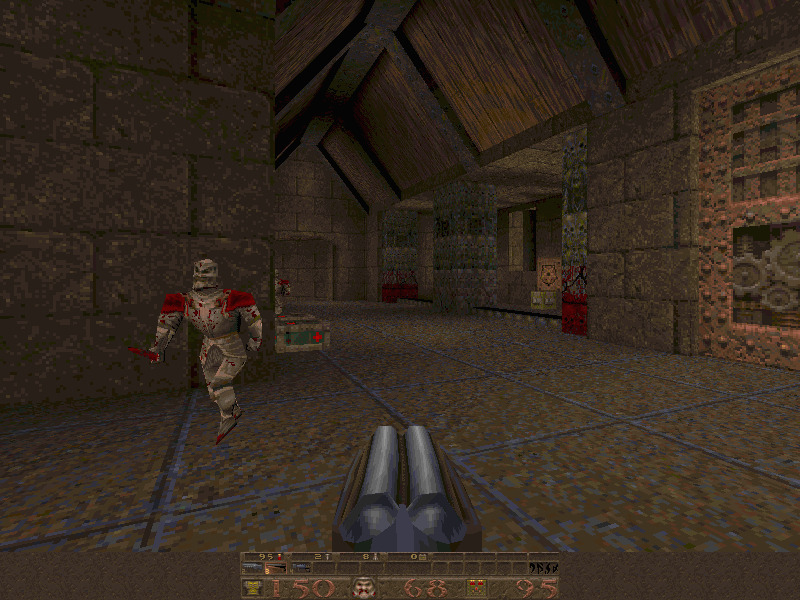 The style of the first part of Quake was characterized by a gloomy entourage and medieval motifs, which distinguished it from its predecessor - Doom - and Quake II, made in the "technological" style.